As you may know I love Batman, but I especially love the Batman TV series. I grew watching the series that starred Adam West and Burt Ward as the Dynamic Duo and it was quite possibly the very reason I become such a Bat-Fan. 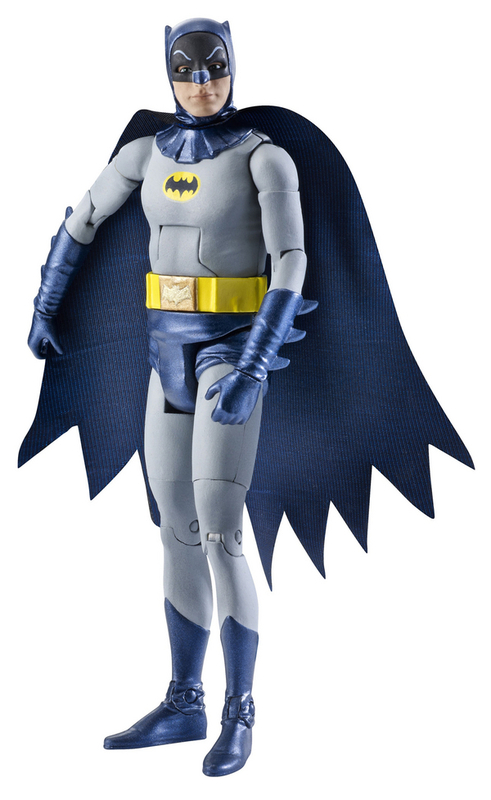 The Batman series which ran from 1966-1968 started Batmania during the sixties, but with all the Batman toys and memorabilia created due to the popularity of the series, no actual toys based specifically on the series were produced until now. Mattel will be producing 6 inch figures based on the likenesses of the actors that portrayed the heroes and villains during the series three season run. 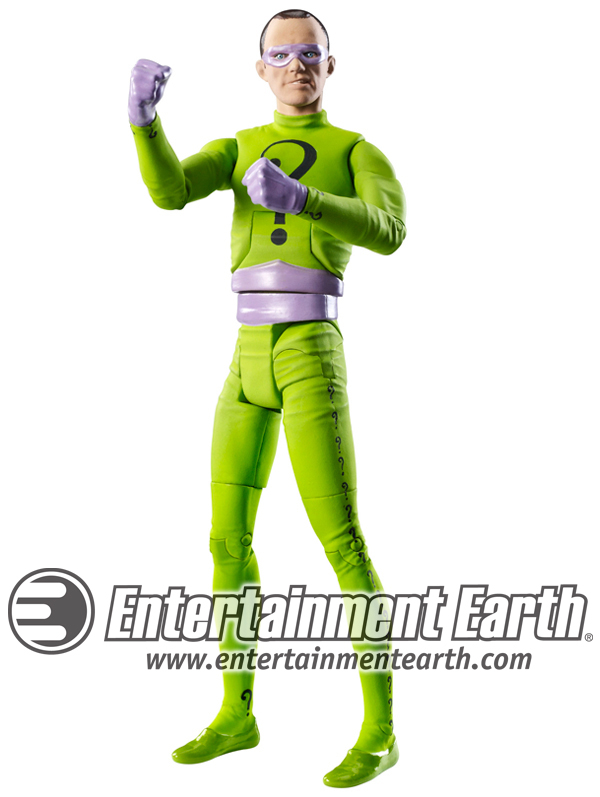 Besides the Batmobile pictured above, Mattel will be releasing action figures based on Batman (Adam West), The Riddler (Frank Gorshin), and The Penguin (Burgess Meredith). These will be released in July 2013. The action figures will have a suggested retail price of $15.99 each, while the Batmobile will retail for ($49.99) I am told Robin (Burt Ward), The Joker (Cesar Romero), and Catwoman (Julie Newmar) will also be produced. I will post pics of those figures as soon as the are available. Until then check out the figures below. Thanks USA Today for giving us this sneak peek. I have already set aside $150 to pick all 6 action figures and the Batmobile in July. Holy triple feature! Comic-Con is that month too. I really can't wait until July now. These look awesome John and I might be getting Adam and Burt along with there ride when they hit stores or online. You and me both JBoy. I won't be missing out on these. These all look great but I have to have that Batmobile that will fit a six inch figure and of course the Frank Gorshon Riddler. Who ever thought we would see one of those? 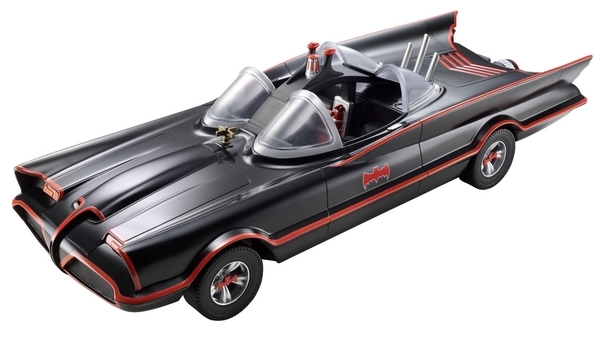 I was excited when Hot Wheels started releasing the 1966 Batmobiles, but I thought we would never get to see these. I am way beyond excited about this. Hope these do well and they release more characters, Bat-Cycle, Batboat, and Bat Copter. The Joker is coming Dr. Theda. Soon as I get a pic of one I'll post it for you. I am looking forward to seeing him myself. Oh man, I cannot wait until those figures are released. I get the feeling there will be a frenzy for these at Toys R Us and Walmart. 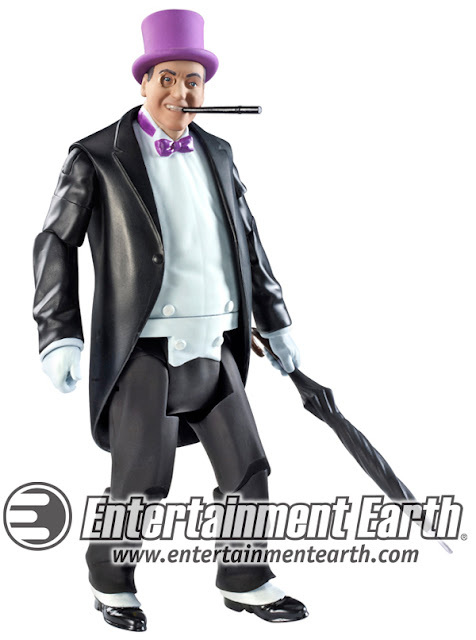 Finally, I will have a 6 inch Adam West in my Batman collection. Me too Mike. I just know I will hitting the stores in hunting mode as soon as they are released. It only took a lifetime to get these - I can't believe they are finally making figures of one of my most beloved childhood memories. I also heard that Hot Toys was supposed to be doing figures - after seeing the bat mobile last year at SDCC. I was wondering if/when there might be news on those. I know, finally! Hopefully, we'll get to see what Hot Toys has in store for us soon too. I don't pick up many 6 inch figures either, but this is a dream come true for me. I can't pass on any of it.